As an introduction to Middlemarch here are comparisons between 1965 and 2013. 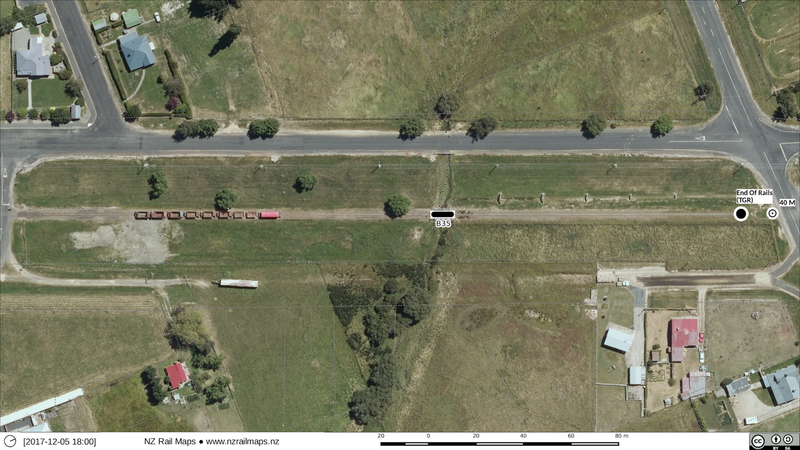 Note the differences in the houses and station buildings. The maps will be drawn in due course. The main changes in the yard buildings are the works depot and trolley shed to the south of the station building, obviously post 1965. 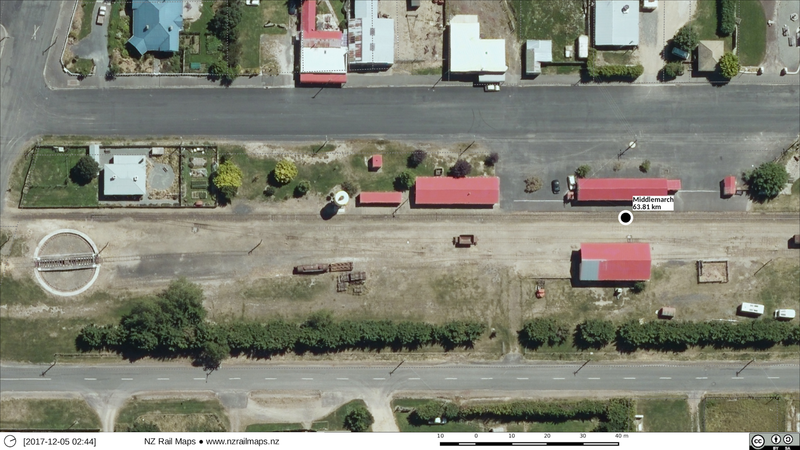 In the mid 1960s the small way and works gangs were amalgamated into four big ones based at Wingatui, Middlemarch, Ranfurly and Alexandra (D&E 4th ed p.78). All of these sites gained works depots. 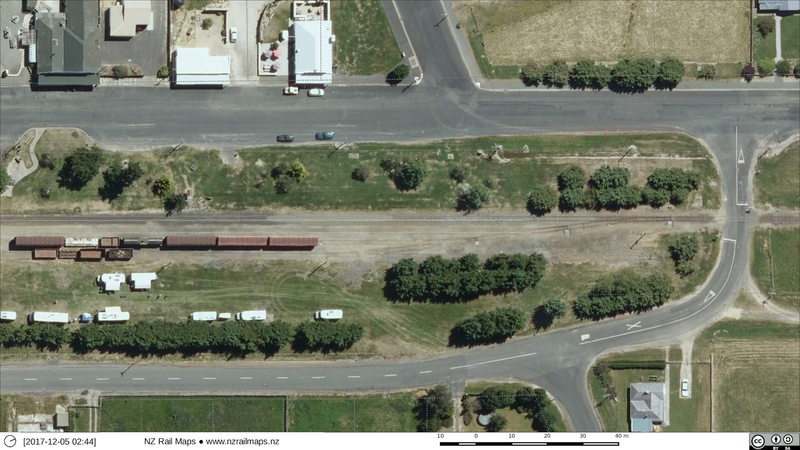 The Wingatui depot is now used by the Taieri Gorge Railway, and I presume they also use this one at Middlemarch, while the buildings still exist in the Ranfurly yard. 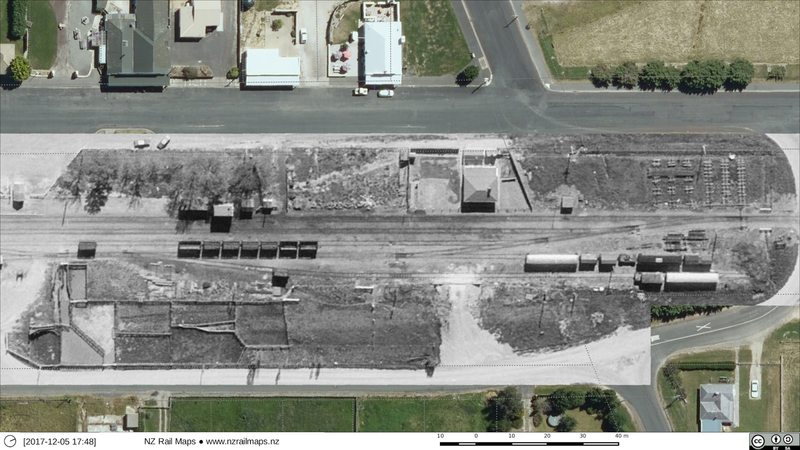 The buildings at Alexandra have been demolished although the trolley shed foundation can still be seen in the yard. A quick perusal of the chainage charts shows many more details such as the engine depot and approximately two more houses that are not seen in 1965 and probably not in any earlier aerials that may exist. 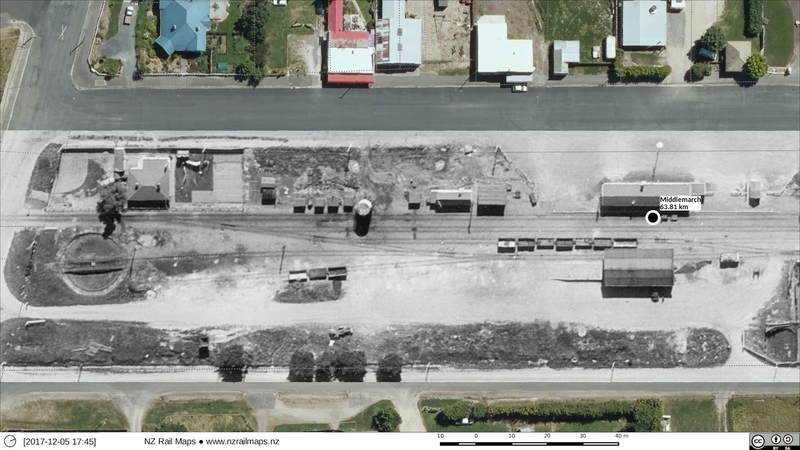 I haven't been able to find out anything about the engine depot so whether it existed beyond construction days - it may have been built by PWD for the construction work and not taken over by NZR. 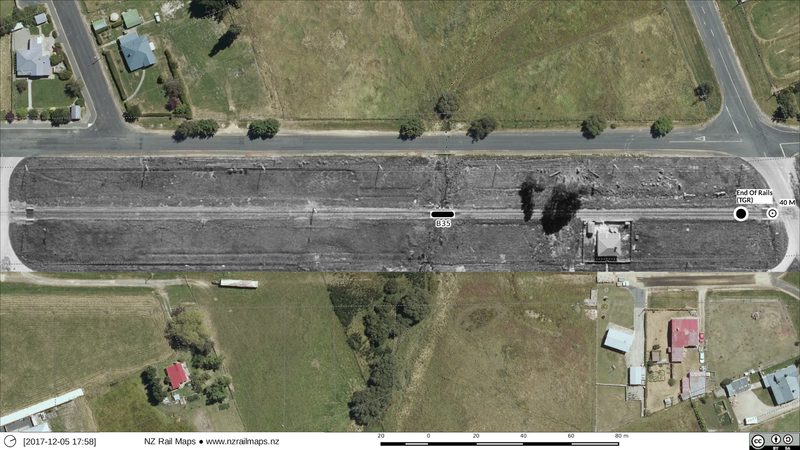 The turntable is a different story, installed in 1922 it was removed in 1972, but in more recent times has been reinstated by the Taieri Gorge Railway.